So in honor of tonight’s Vice Presidential Debate, I try to find out as much information for each candidate that will be featured in the debate tonight. 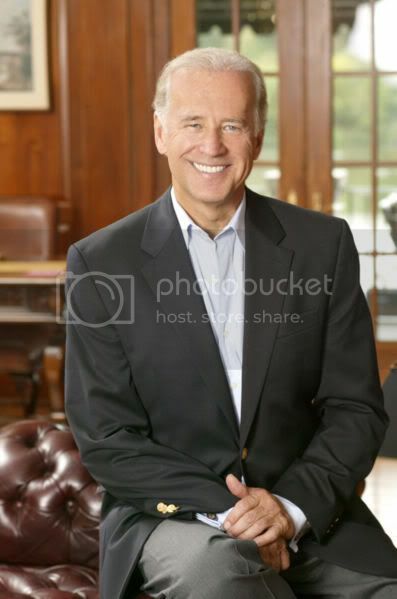 After going to my researching source, google.com, I found nothing on Joe Biden at all. I found our more about his platforms and beliefs, but nothing on if he works out or not. I found out that his wife, Jill, works out by jogging 3-5 miles a a day weekly. Sarah Palin on the other hand has become some sort of insta-celebrity overnight, with all aspects of her life being scrutinized, and for good reason, including her exercise routine. This allowed me much more information on her. I mean, if I have five kids, you are darn right I want to look like that! The Wall Street Journal wrote an article on her fitness which she said started at a young age from her her parents being marathoners and high school track and cross-country coaches. Her husband, Todd, also an athlete have made fitness a family thing. Palin says, “Conventional running is my sanity,” Before giving birth to her son in April, Palin was running 7 to 10 miles almost every day but when pregnant, she switched to aerobics classes at her gym. In the summer, when it’s always light, she’ll sometimes run as late as midnight. In the dead of winter, when it’s dark, she sneaks in an afternoon run, or else grudgingly runs on the treadmill at home or at the gym in the evening. For post workout food she says nothing, she just drinks water. She ran in Humpy’s Marathon and finished in a time of 3:59:36. The Wall Street Journal Article where I got my information can be found here. For all of you that live in the CA, AZ, or NV states, you are lucky. You are lucky because somewhere in your state there is my new store, Fresh and Easy. I am obsessed because it’s like Trader Joes but not so hippy like (not that there’s anything wrong with that) but it’s modern and neat and has a great selection of food as well. There is one on my way home from work and the other day I picked up basil tomato sauce, tortellini, garlic bread and a bottle of wine for ten bucks and fed myself and my boyfriend. It was really good as well. I would advise you to check out their website, Fresh and Easy, and look in your daily throw away mail because they also have 5 dollars off coupons if you spend twenty dollars or more. They have a great selection of food, produce and meats and cheeses, and also have great prices.